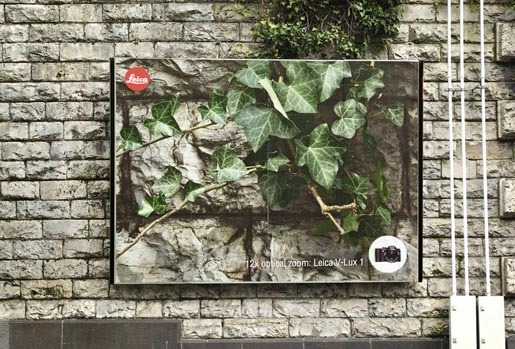 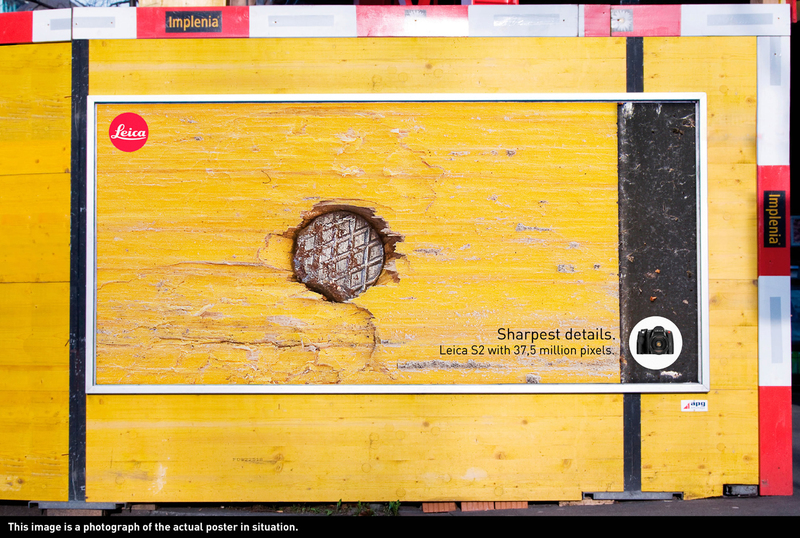 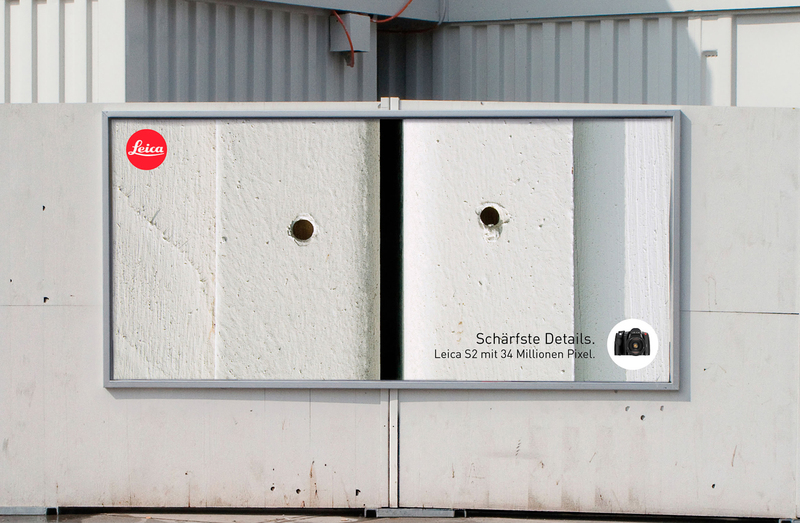 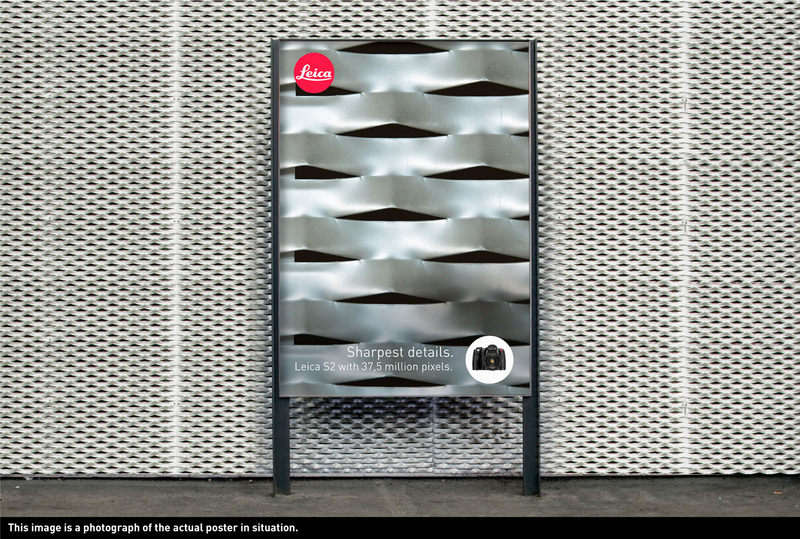 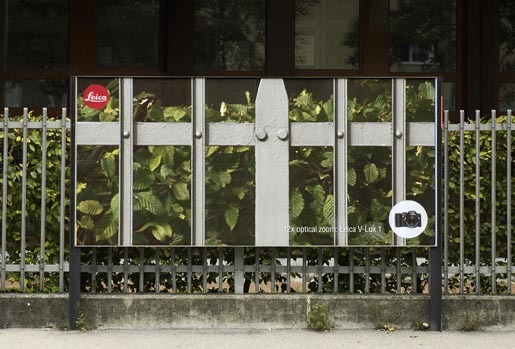 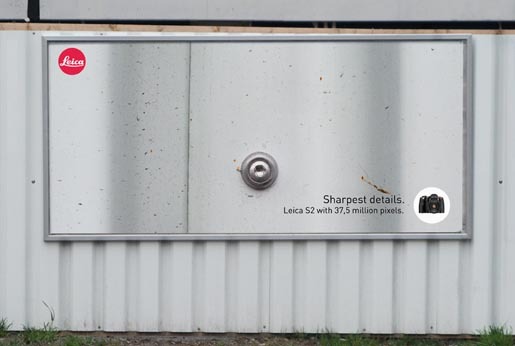 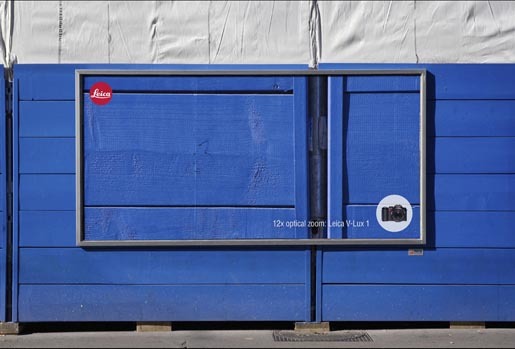 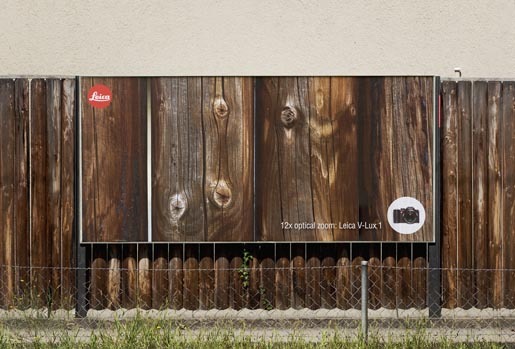 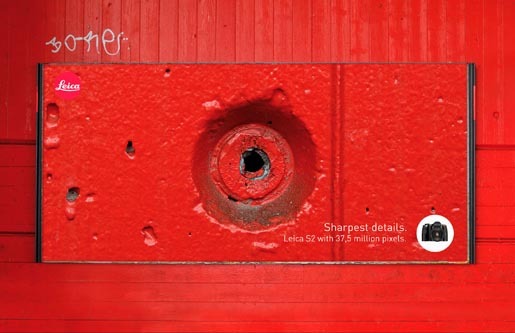 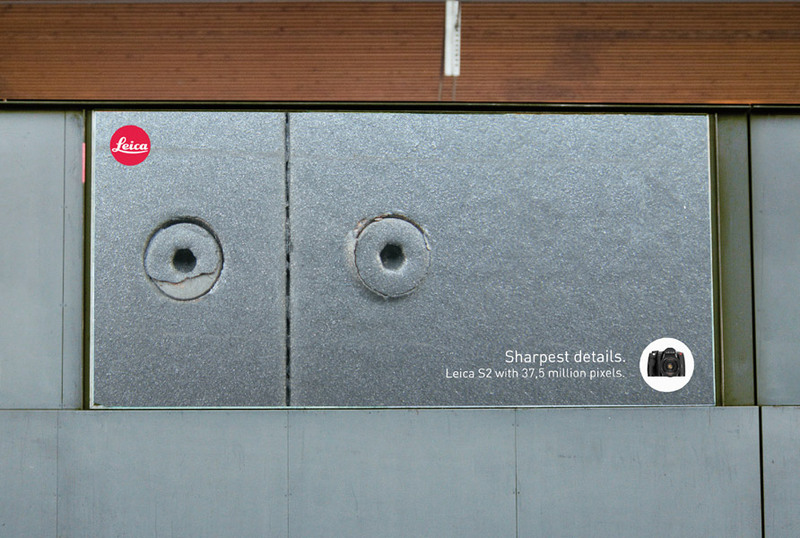 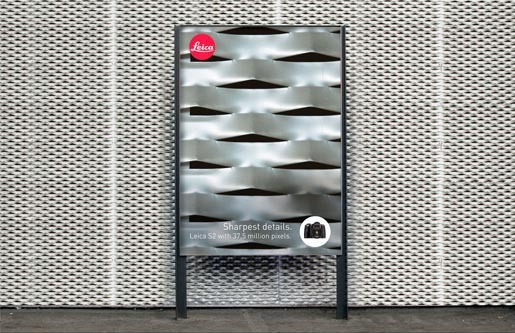 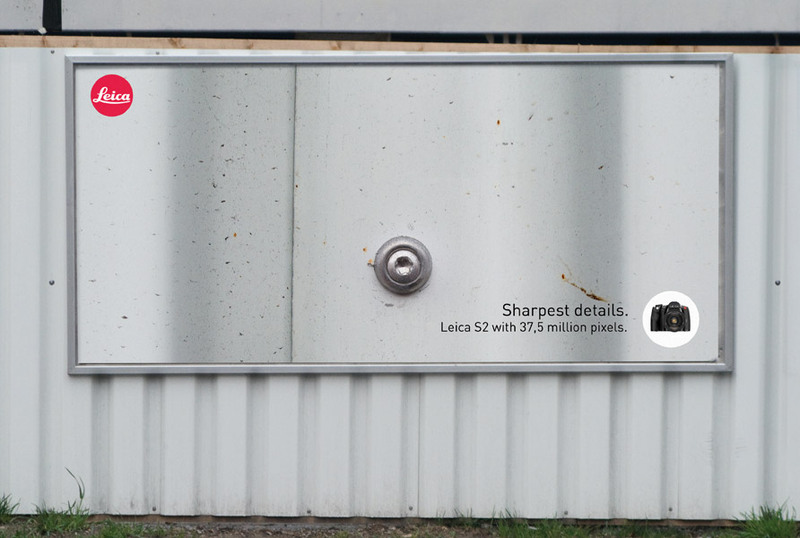 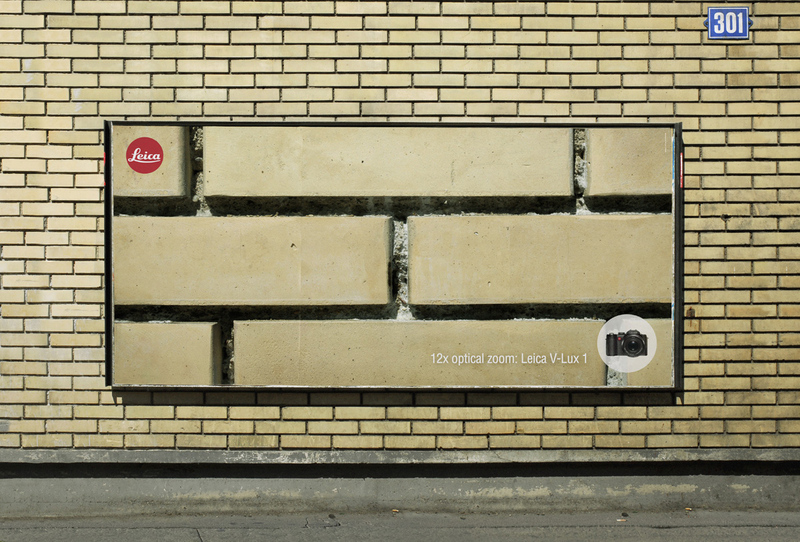 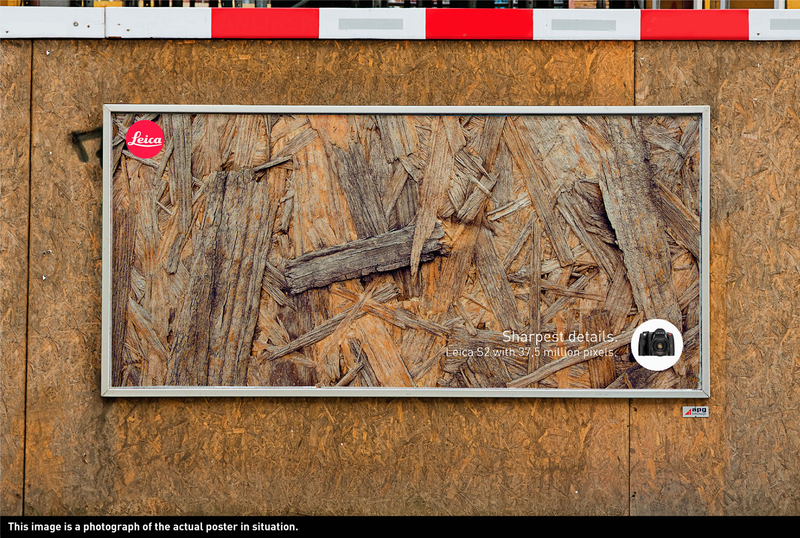 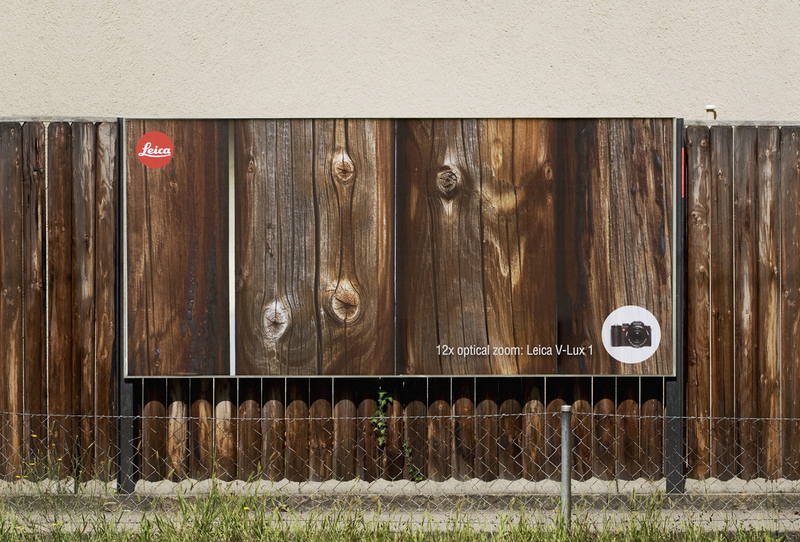 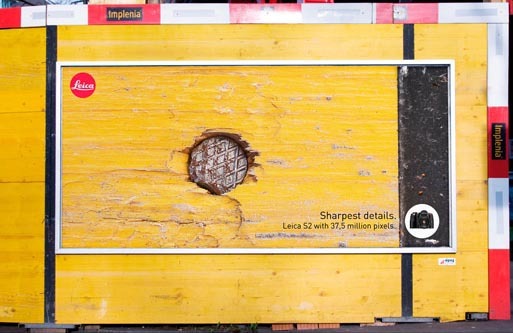 Leica, the German camera company, worked with Advico Y&R to demonstrate the Leica S2’s high resolution zoom in a series of outdoor posters featuring the claim, “Schärfste Details” (Sharpest Details). 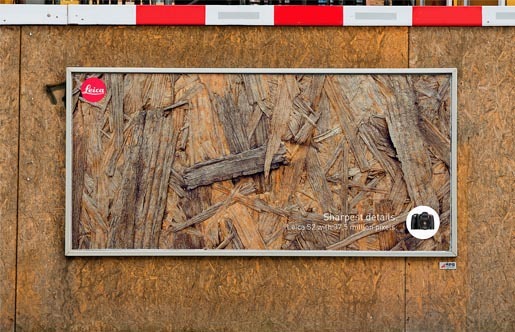 The posters, shown here in actual location, provide razor sharp close ups of the walls and fences on which they are placed, provided with a very expensive camera with 37.5 megapixel resolution. 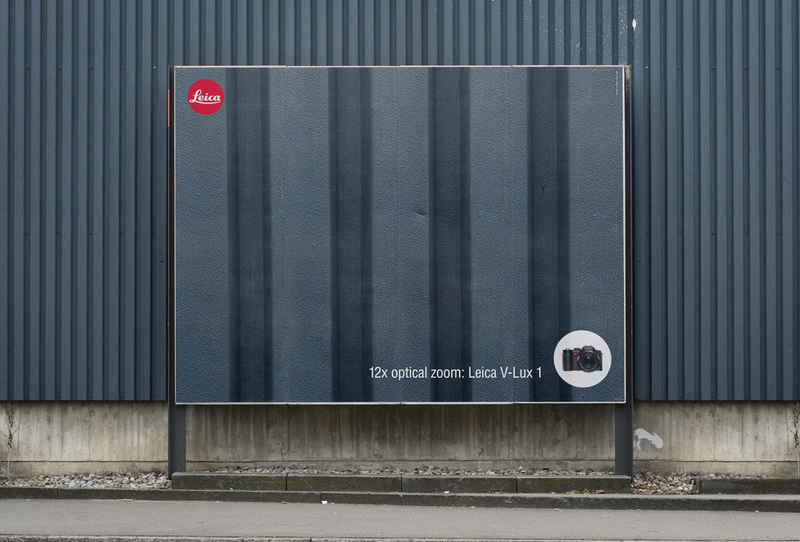 The campaign, which won Gold for Print at the 2010 Epica Awards, follows on from the 2007 campaign for the more affordable Leica V-Lux 1 with 12x Optical zoom. 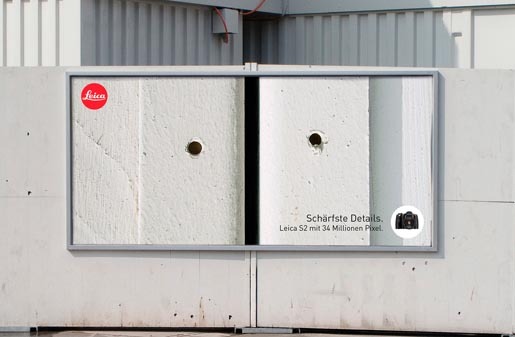 The Sharpest Details campaign was developed at Advico Y&R AG, Zurich, by creative director Christian Bobst, copywriter Johannes Raggio, art director Lukas Witlisbach, photographer/typographer Luca Schneider and consultant Sandro Breu. 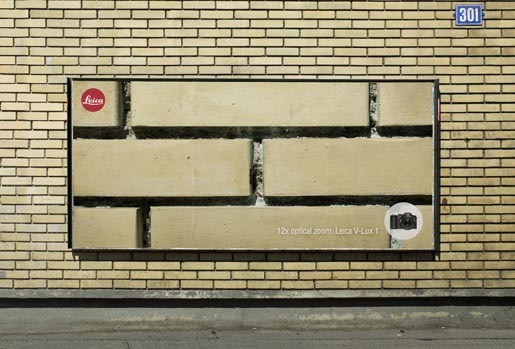 The 2007 campaign was developed by creative director Urs Schrepfer, creative director/art director/photographer Christian Bobst, copywriter Johannes Raggio, and account supervisor Sandro Breu.